Choose a Company or Do-It-Yourself Solution? Should you hire a credit card debt consolidation service to help you better manage paying off your card balances? Or, is this debt management solution something you want to can handle on your own? To make your decision, this article provides some insights and information to consider. You provide the consolidation firm with a single monthly check or money order that covers the total amount due. Then, your account representative manages each of your credit card payments accordingly. You pay a fee for this service, which also may include debt counseling, educational information, and/or money-management tools. The alternative do-it-yourself strategy if you do not want to continuing paying off each credit card separately, is to get a consolidation loan from a financial institution.You use the loan to zero out all your credit card balances. Then, you make one monthly payment to your lender, until the consolidation loan is cleared. Which option is a better debt management strategy for you? 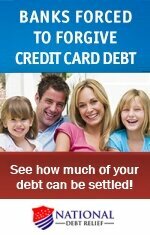 Should you go with a credit card debt consolidation service or another debt management solution. Here are some things to consider. Have you been offered a balance transfer option by any of your credit card companies that includes a lower interest rate, If so, and if you have a sufficient credit limit on this card to cover most of your debt, you can certainly consider taking advantage of the lower rate. This will save you money in the long run. Yet there is an important caveat to this option... Often, low interest, promotional rates expire quickly, usually within an year, and sometimes in as little as three months, after which point the rate shoots up. So read the fine print and know what the low-interest offer entails and whether it is really meaningful for you. Of course, you can always take advantage of the reduced interest rate for however long it is offered, particularly if it is for a year or two. Though, you need to stay on top of your payments and the timeline for the low interest rate expiration. You also need a migration plan so you will know what you will do with your credit card debt once the interest rate shoots back up. What are your chances of acquiring a consolidation loan from your bank, local credit union or other financial entity? 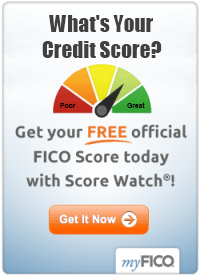 If your credit history is less than okay, this may not be a feasible alternative. However, if you can quality, you will benefit from the likelihood of lower interest rates and possibly lower monthly payments. If your financial institution does agree to offer you an unsecured loan, watch out for high interest rates to cover your debt. If the rate is higher than the highest rate you are currently paying on any of your cards, then consolidation (while certainly convenient) is not a sound financial decision. Learn more about these loans by clicking here: Pros and Cons of Credit Card Consolidation Loans. And what if your financial institution refuses to give you an unsecured loan, but only offers a secured loan? In that scenario, a lower interest rate is almost a given. But, and this is a huge BUT, you should ask yourself what you are willing to risk as a collateral. If you put up your home or car as a collateral for the secured loan, and you don't make timely payments on the consolidation loan, you will lose your property. As long as you are able to acquire a consolidation loan, in reasonable terms and at reasonable rate, the do-it-yourself strategy beats hiring a credit card debt consolidation service. But otherwise, going with a reputable company that specializes in debt consolidation may be a viable. One possible advantage of going with a consolidation service is they may have an established relationship with your creditor. Therefore, they may be able to use it to negotiate a lower interest rate for you, or have late fees or other fees waived on your account. Before hiring a debt consolidation company, you need to do your research. Click on this link for key advice: Selecting a Debt Consolidation Company. More information on whether to hire a credit card debt consolidation service is also provided in the articles below.